As writers and artists, we all need to make time to recharge our creative energies. This spring, step away from your desk and refill your creative well while enjoying the natural splendor of one of our city's favorite landmarks and major arteries, Buffalo Bayou. FINDING FLOW is an immersive walking exploration of Buffalo Bayou Park that will combine generative exercises with a close study of our slow moving waterway. The focus will be flow—both in the sense of a focused creative state and with respect to the movement of the bayou. Together, we will practice new ways of looking, thinking, and recording our landscapes. We'll meet at 2 pm on the upper deck of the Buffalo Bayou Visitor Center for introductions before heading out to explore our environment. We will be moving between several locations, but not more than a mile in total. We will always be within range of the Visitor Center, should a bathroom break be required. All areas we'll be visiting are fully accessible. A little drizzle will be manageable with umbrellas. If the forecast calls for heavy rain, our rain date will be Sunday, April 8. Sharing your work is always optional. Facilitation will be in English, but you should feel free to write in any language. City of Houston Lot H – Over 400 spaces available for public parking on weekends and after 6 pm on weekdays. Buffalo Bayou Park trails can be accessed from Sabine Promenade. 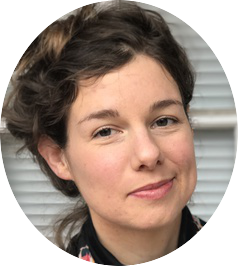 Allegra Hyde's stories and essays have been published by Tin House, Kenyon Review, New England Review, and other venues. Her debut story collection, Of This New World, won the John Simmons Short Fiction Award through the Iowa Short Fiction Award Series. She is the recipient of two Pushcart Prizes, as well as support from The Elizabeth George Foundation, the Lucas Artist Residency Program, the Jentel Foundation, the Bread Loaf Writers' Conference, Writing Workshops in Greece, the National University of Singapore, and the U.S. Fulbright Commission. Currently, she teaches fiction at the University of Houston.